1. It is always nice to end the year on a positive note -- and one of them was provided by State Senate Majority Leader Scott Fitzgerald (R-Juneau) last Friday when he said that one of the bills that the State Senate would not be considering in 2014, before the 2013-2014 legislative session ends in March, is Assembly Bill 225. This is the campaign finance and election measure that nobody outside of the State Capitol building asked for, wanted or supported. It would double current campaign contribution limits for legislative and statewide candidates and, even more alarmingly, double the amount of special interest political action committee money (from $150,000 to $300,000) that the legislative campaign committees controlled by the legislative leadership could collect every two years. Fitzgerald said there wasn't "sufficient support" in the State Senate to pass Assembly Bill 225 -- which is correct. We count at least 20 votes against AB 225 in the 33-member State Senate. So Fitzgerald wisely opted to pass rather than lose on this one. Thank you to all of the CC/WI members and other citizens who wrote or called your State Senators opposing AB 225. This victory is yours. Celebrate it! 2. 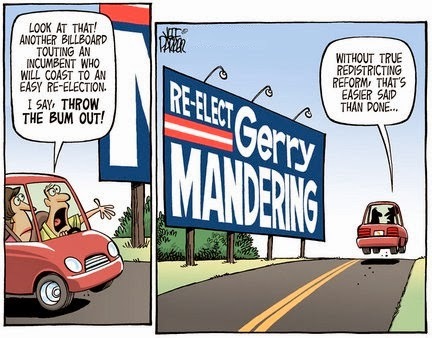 At the beginning of 2013, redistricting reform was an issue that few citizens, other than hard-core political junkies, even knew about, let alone cared about. 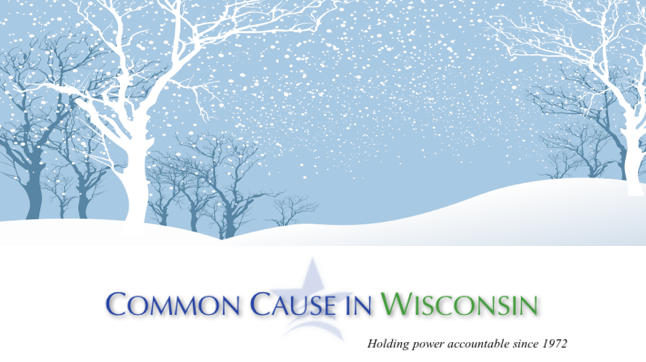 Now, as we enter 2014, the issue is huge and it is certainly the most prominent political reform issue in Wisconsin today. With the support of 15 Wisconsin daily newspapers, dozens of legislators and tens of thousands of Wisconsin citizens, it is an issue that will not only not go away, but it will also be an election campaign issue in 2014 that every state legislative and statewide candidate running for office this year will have to address. And the question is simple: Which side are you on? 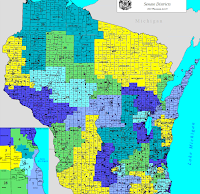 Do you favor non-partisan redistricting reform (Senate Bill 163 and Assembly Bill 185) that will cost Wisconsin taxpayers much less and result in more common sense district boundaries and competitive elections? Or, do you support the current corrupted status quo in which hyper-partisan districts are drawn by the direction and control of legislative leaders in total secret, complete with signed oaths to keep quiet, and without public input, and which cost Wisconsin taxpayers millions of dollars to pay costly, partisan lawyers to wipe out competition in most state legislative and all congressional elections in Wisconsin? As an election issue in 2014 -- this one is a winner. And it could be a killer for some who oppose reform. 3. Until North Carolina enacted its own photo voter ID law in 2013, Wisconsin's 2011 law, Act 23, was the most extreme and restrictive photo voter ID law in the nation. It was so extreme that it was blocked by several state and federal courts in Wisconsin and has never been in place, other than for a Spring Primary election in 2012. Two of the lawsuits on this matter were heard in Federal Court in Milwaukee recently and a decision on them is expected in early 2014. CC/WI filed an amicus brief in one of those cases against Act 23. We are cautiously optimistic that the decision will come down in favor of getting rid of Act 23. The integrity of voting in Wisconsin has never been proven to be anything other than stellar and among the highest level of integrity in the nation. That's how Wisconsinites are. Charges of widespread fraud, or even anything other than a couple of isolated incidents of a person voting who didn't realize they were unable to, are totally without foundation. Investigations of suspected fraud undertake by Attorney General JB Van Hollen and others after the 2004, 2008 and other elections have come up with nothing. There is no voter fraud in Wisconsin. Period. Exclamation Mark. End of Story. 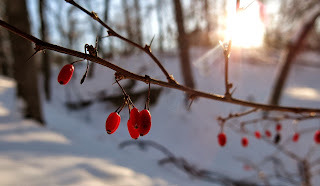 We recently sent around our year-end appeal. We almost never do anything like this, so please take a look at it and consider whether CC/WI is worthy of your support. We hope you will conclude that we are. We wish you all our best for a Happy New Year and a 2014 filled with hope, kindness and and a healthy dose of political reform! 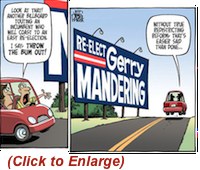 Taking Political Reform into 2014 and the Upcoming Elections! Against the odds, 2013 has been a positive year and one in which we moved forward on much-needed political reform in Wisconsin. 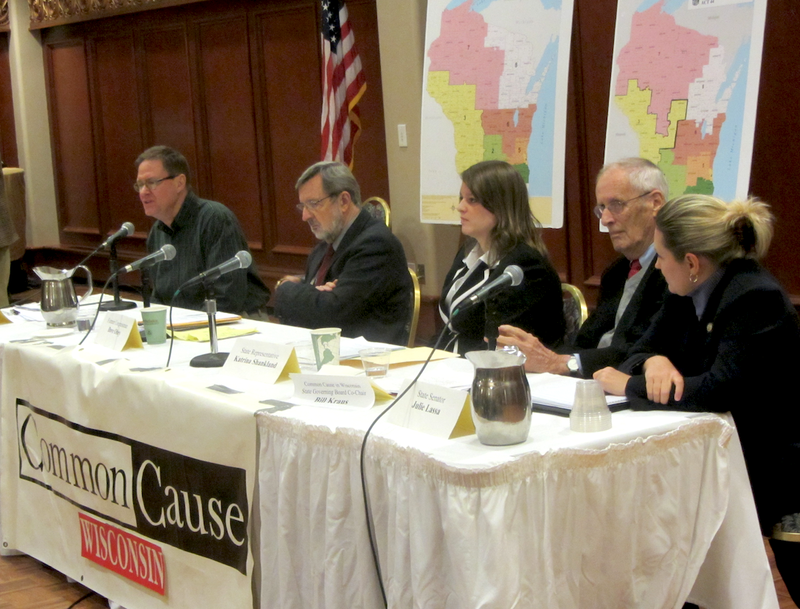 CC/WI led the effort to make non-partisan redistricting reform a huge issue that has steadily gained support and momentum over the last year and is still gathering steam! 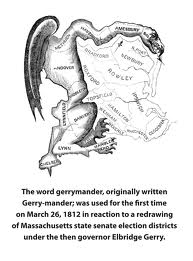 Fifteen daily newspapers, dozens of legislators and tens of thousands of citizens are increasingly clamoring for an end to hyper-partisan gerrymandering and demanding a public hearing on this matter. We have been relentless in pushing this ahead! CC/WI also fought last Summer to successfully revise a bad campaign finance and election bill in the Wisconsin Assembly and make it better -- although not good enough to win our -- or your support. We will take that fight into 2014 when and if the State Senate takes up the legislation. But -- good news -- on December 27th, State Senate Majority Leader Scott Fitzgerald said he would likely not bring this legislation to the floor of the State Senate for consideration because it lacks sufficient support. CC/WI also led the effort to get a bipartisan electioneering disclosure measure introduced in the Legislature so that Wisconsin citizens can know what outside special interest groups are trying to influence their votes. And we are a party to a lawsuit against Wisconsin's extreme and overly-restrictive photo voter ID law that was recently heard in Federal Court in Milwaukee and will be decided in early 2014. At this time of year we want to say "thank you" to you for your efforts to assist us and to advance these reforms. We also hope that you will end 2013 by making a year-end contribution to Common Cause in Wisconsin so that we can continue to remain on the offensive in the New Year. 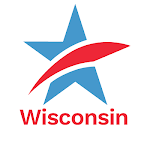 We intend to make support for non-partisan redistricting reform, electioneering disclosure and other reforms important election-year issues that candidates for public office in Wisconsin must address. But we need your help to take our battle to this next, higher level. 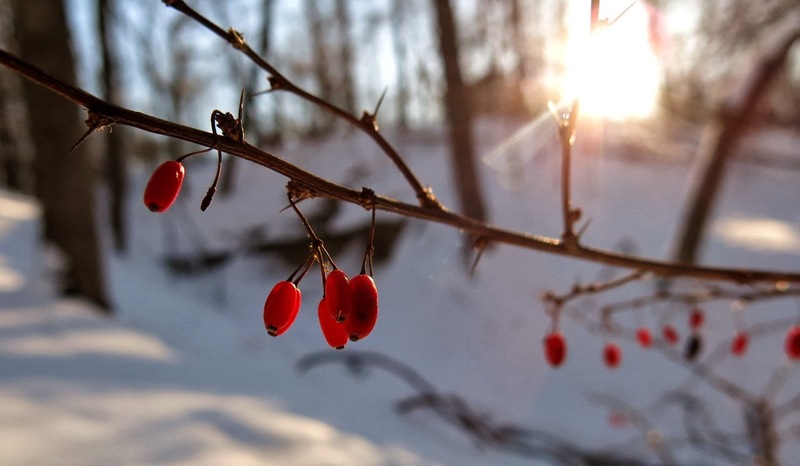 Thank you -- and Best Wishes for a Happy and Healthy 2014! 1. A campaign finance measure that no citizen of Wisconsin (outside of the Capitol or special-interest lobbying corps) has asked for or supports, will be the subject of a public hearing today in the Capitol. 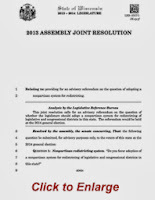 Assembly Bill 225 passed in the State Assembly last June on a voice vote. Common Cause in Wisconsin led the fight to force drastic changes to the legislation when it was first introduced at the end of May. But while the final version was a vast improvement over its original form, we did not then, and cannot now support it because the downside to the legislation far outweighs the little good that it contained. Adding online voter registration was unquestionably positive. Other states have had this for some time, and it is time Wisconsin enters the twenty first century with, at the very least, this voter technology. But the doubling of campaign contributions is a big mistake -- like pouring gasoline on a fire in a system that is already awash in incomprehensible amounts of special interest and secret money. Doubling the contribution limits for Assembly candidates from $500 to $1,000 and for State Senate candidates from $1,000 to $2,000 is bad enough -- but doubling the limit for statewide candidates from $10,000 to $20,000 is intolerable. Anyone who suggests that an individual making a $20,000 campaign contribution to a candidate for public office in Wisconsin will not be "remembered" and that candidate will not be "beholden to" the contributor in some way is either naive or dishonest. It's no different than a child remembering which Aunt sent him or her a birthday card with a crisp $20 bill and which Aunt just sent a card. It's human nature. Worse than even that provision in AB 225, is the one which doubles the amount of special interest political action committee (PAC) money that can be collected by the four legislative campaign committees -- which are controlled by the four legislative leaders in the Capitol: the Assembly Speaker and Minority Leader and the State Senate Majority Leader and the State Senate Minority Leader. The last thing Wisconsin needs is more political power and money concentrated in the hands of the legislative leadership in the Capitol. As we warned last June, that is a prescription for political disaster and another scandal. 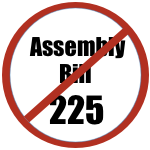 We urge you to contact your State Senator and tell her or him that you oppose Assembly Bill 225 in its current form. If you are not sure who your State Senator is, go here. 2. In contrast to AB 225 -- which has no public support whatsoever, but still gets a public hearing -- redistricting reform legislation (Assembly Bill 185 and Senate Bill 163) has the support of tens of thousands of Wisconsin citizens as well as that of 15 Wisconsin daily newspapers, CC/WI and the League of Women Voters of Wisconsin. 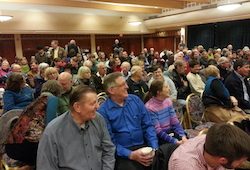 Seven and a half months after it was introduced and after hundreds of requests to hold a simple public hearing on the legislation, State Senate Majority Leader Scott Fitzgerald (R-Juneau) and Assembly Speaker Robin Vos (D-Rochester) still refuse to sanction even airing the issue. This cannot be helping their public image. Instead, they have their proxies issue immature, petulant and factually-challenged press releases like this one Monday, from State Representative Tyler August (R-Lake Geneva), who has obviously never even read the redistricting reform legislation he so vehemently opposes. Both on the floor of the Assembly in mid-November and yesterday in his release, August states: "I do not support putting that responsibility [for drawing the boundaries of state legislative and congressional districts] into the hands of an unelected, unaccountable board." Nowhere does AB 185 and SB 163 give any district drawing responsibilities to any "unelected board" whatsoever. That task goes to the non-partisan Legislative Reference Bureau and must be approved by an up or down vote of both houses of the Legislature. One would think, at the very least, opponents would know what they are against. 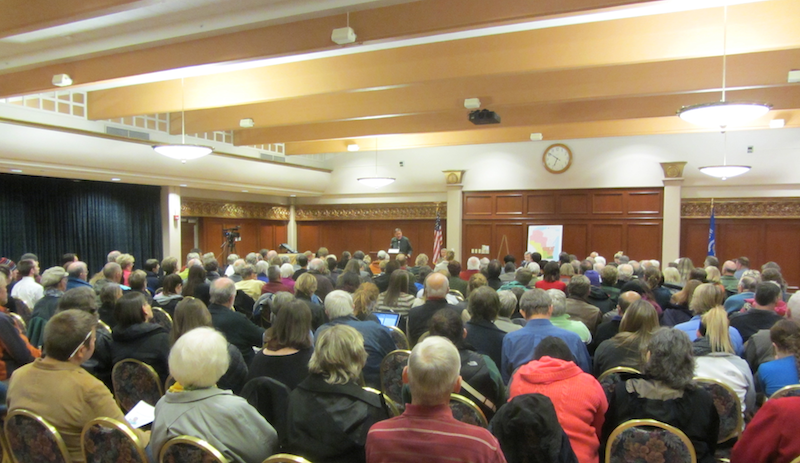 Despite all that drama, an "alternative" public hearing on redistricting reform was held in the Appleton Public Library on Monday evening and about 60 citizens braved a snowstorm to engage in the discussion. State Senator Dave Hansen (D-Green Bay) and State Representatives Penny Bernard Schaber (D-Appleton), Gordon Hintz (D-Oshkosh) and Eric Genrich (D-Green Bay) received testimony from many in the audience including Common Cause in Wisconsin State Governing Board members Cal Potter of Sheboygan Falls, Roger Utnehmer of Sturgeon Bay and CC/WI State Director Jay Heck. The League of Women Voters of Appleton also spoke in favor of the reform as did many other citizens from the Appleton area. 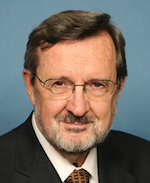 No one spoke against redistricting reform. Again, no one outside the Capitol seems to think it's anything but an excellent reform that needs to be instituted in Wisconsin. Invited to participate in the hearing were State Senators Mike Ellis (R-Neenah) and Mary Lazich (R-New Berlin), who chairs the State Senate Committee with jurisdiction over Senate Bill 163. Also invited were State Representatives Dean Kaufert (R-Neenah) David Murphy (R-Greenville) and Chad Weininger (R-Green Bay), who is the new Chair of the Assembly Committee with jurisdiction over redistricting reform legislation, replacing Tyler August. Let's hope Weininger has at least read AB 185 before condemning it for something that is not contained in the legislation, as August repeatedly did. In any event, none of the Republican legislators attended the hearing on non-partisan redistricting reform. But we will keep trying -- because this, afterall, is not an issue that is or should be partisan. Today, the Assembly Committee on State Affairs and Government Operations is holding a public hearing on some insignificant issues that no one, aside from the few people affected by the legislation, cares about or that matters one iota. Maybe cosmetologists, dry cleaners, land surveyors and dentists. But no one else. Seriously. 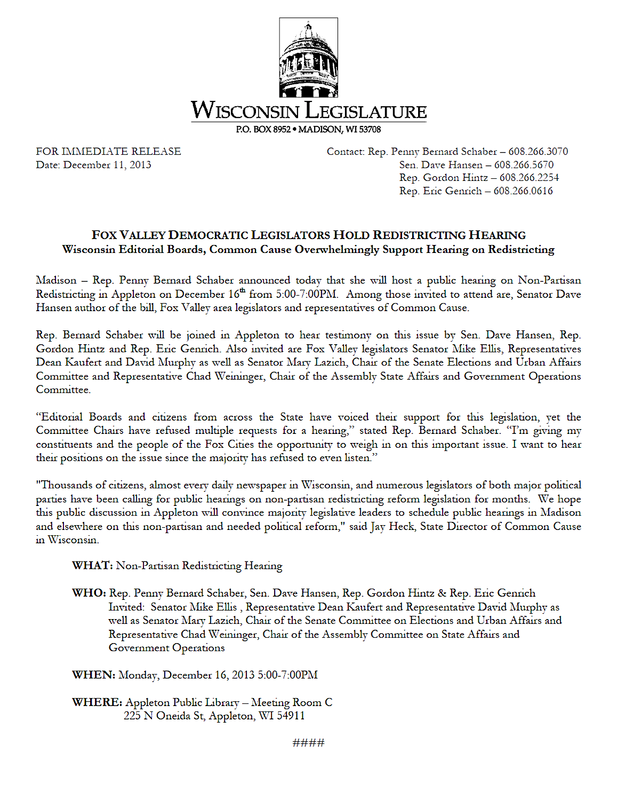 Meanwhile, that committee continues to ignore -- at the direction of Wisconsin Assembly Speaker Robin Vos (R-Rochester) -- scheduling a simple public hearing on redistricting reform legislation -- an issue that thousands of Wisconsinites, almost every daily newspaper in Wisconsin, and numerous legislators of both political parties support or, at least, support holding a public hearing on the matter. Earlier this week, the Wisconsin State Journal captured this irony, perfectly. No one is begging -- and certainly not expecting Vos or State Senate Majority Leader Scott Fitzgerald (R-Juneau) to support redistricting reform. They should, but neither is clearly yet of that caliber of Wisconsin elected leader that will be remembered for doing something great and significant for all of the citizens of Wisconsin and make history. Their agendas have been too narrowly partisan thus far. But that could change. We hope it will. 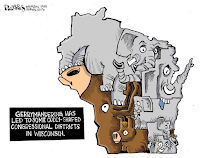 But in the meantime, if no public hearings on redistricting reform legislation -- Senate Bill 163 and Assembly Bill 185 -- is forthcoming from the majority party, Common Cause in Wisconsin thought that "alternative" public hearings on this issue would be a good idea. Because every day, more and more Wisconsinites are supporting this common sense, basic reform that is the key to ending much of the polarized, poisonous political cesspool that has become the norm in Wisconsin. And those citizens are not about to "settle" for accepting the fact that the current legislative leadership apparently fears even "allowing" a public hearing on the issue. At the end of October, we had almost 300 citizens attend a public forum in Stevens Point that concentrated primarily (but not exclusively) on redistricting reform. Therefore we are delighted that State Senator Dave Hansen (D-Green Bay), State Representative Penny Bernard Schaber (D-Appleton), and other legislators have organized this "alternative" public hearing on non-partisan redistricting reform this Monday in Appleton -- in the middle of the Fox Valley -- and therefore close enough for citizens from Green Bay, Oshkosh, Neenah, Menasha, Fond du Lac and other communities to easily get to -- provided the weather cooperates. Fox Valley legislators of both political parties have been invited to participate and we hope all -- or at least many -- will be there. This is a hearing about non-partisan legislation that is critical to repairing the current, nasty polarization that plagues Wisconsin's state government and politics. It ought to be supported by everyone who wants state government to work for all of the citizens of Wisconsin -- not just for the hyper-partisan few on the fringes. We hope to see you there. Your voice and support are critical. 1. 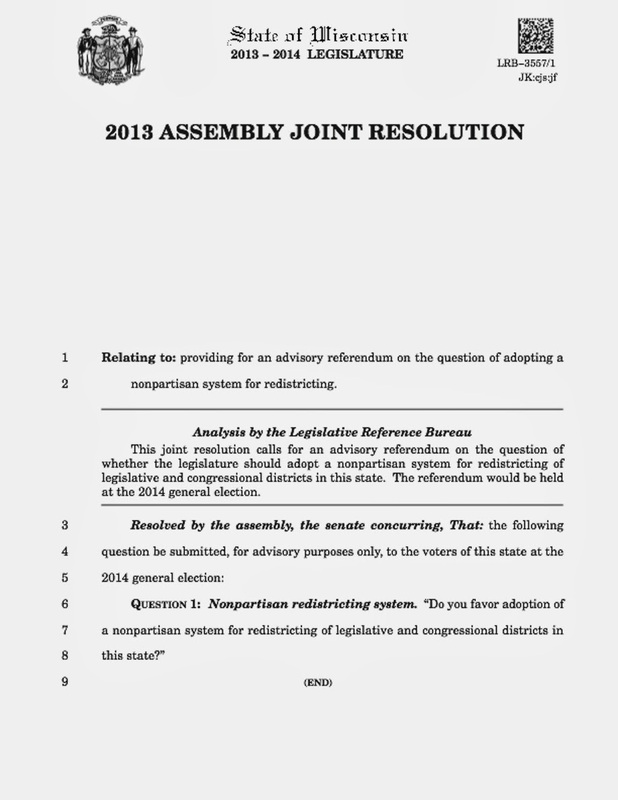 On Tuesday, State Representative Dana Wachs (D - Eau Claire) and a group of other Assembly first term members introduced a joint resolution calling for an advisory referendum on the question of whether the Wisconsin Legislature should adopt a nonpartisan system for redistricting of legislative and congressional districts in the state (beginning in 2021). The referendum would be held on the date of the November, 2014 general election. Common Cause in Wisconsin was on hand at the press conference to show our support for this initiative. We have no doubt that it would be supported overwhelmingly by the voters of Wisconsin were it to be on the ballot next year. 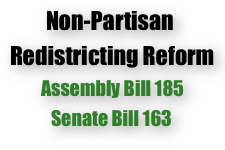 The question is whether the arrogant legislative leadership will even allow a public hearing on this measure, or, will they block that from occurring as they have public hearings on redistricting reform legislation -- Assembly Bill 185 and Senate Bill 163? We won't let up on pushing for this newest measure as we have not on AB 185/SB 163. Neither,hopefully, will the 15 daily newspapers in Wisconsin that support non-partisan redistricting reform legislation and public hearings on the measures. Assembly Speaker Robin Vos (R-Rochester) and State Senate Majority Leader Scott Fitzgerald (R-Juneau) can continue to run, but they cannot hide. 2. CC/WI recently analyzed and compared the number of "competitive" general elections in the State Legislature and in Wisconsin Congressional Districts that occurred in 2012 -- after gerrymandering -- with elections in 2010, before the most partisan, expensive and secretive redistricting process in Wisconsin's history occurred in 2011. Our release was just updated and demonstrates why this is a much bigger issue now, than it was before the 2011 redistricting process, as well as just how few legislative districts offer voters a real choice in general elections and how now, not a single congressional district does. It's very sad and it ought to outrage every voter -- regardless of political persuasion -- in Wisconsin. 3. Supporters of Wisconsin Governor Scott Walker have decided that they should attack the latest "John Doe" investigation into possible illegal coordination between Walker's campaign and outside special interest groups, and of the secret, undisclosed money that aided Walker's ability to prevail during the 2012 recall election. Some Walker backers are calling this latest investigation a partisan "witch hunt" and have even tried to make the case that it is somehow an attack on "free speech" and political expression. They are sadly mistaken, misguided and apparently desperate. That's just not how John Doe investigations work. A recent and excellent article by Mary Bottari of the Center for Media and Democracy, in which CC/WI is cited, provides an excellent explanation of what is going on. We have sensed for some time that Wisconsin citizens are not happy with the way their state government is functioning on a whole host of issues. Increasing numbers of citizens are "getting" that their voices don't count for much when they are in a non-competitive state legislative or congressional district. More and more Wisconsinites every day are comprehending that the way in which Wisconsin legislative and congressional districts were drawn by hyper-partisan, expensive, and secretive Madison attorneys under the direction of legislative leaders in 2011 resulted in a rigged system in which very few voters have a real choice in general elections. We now have an unprecedented number of "safe" voting districts in Wisconsin where a citizen's vote doesn't mean very much because the result of the election is already preordained. And because legislators have been given these safe seats, they can easily afford to be non-responsive to the concerns of many of their constituents. Redistricting reform, and other critical political reform issues such as reducing the amount of special interest money in our elections, and voting rights being protected for every Wisconsin citizen were just some of the issues discussed Monday evening at the University of Wisconsin at Stevens Point during the most well-attended and energetic event in our six-year series of "reform forums." We set up the room for 150 attendees, hoping we would draw nearly that number on an evening when a World Series game was on TV and the weather was chilly. Instead, citizens arrived in such large numbers that we had to bring in 75 more chairs -- and then accommodate even more people. The panel of legendary former Congressman David Obey, State Senator Julie Lassa, State Representative Katrina Shankland, Common Cause in Wisconsin Chair Bill Kraus and Director Jay Heck and the great questions and comments from the audience -- moderated by UWSP Political Science Professor Dennis Riley, combined to result in our most electric reform forum ever!! For other media coverage, go here, here, and here. Get inspired to take back your government! We certainly were. Wisconsin has experienced tumultuous change over the last couple of years in the way we conduct elections and consider public policy. The core political fabric of Wisconsin – once heralded as a national model – has been dramatically transformed. 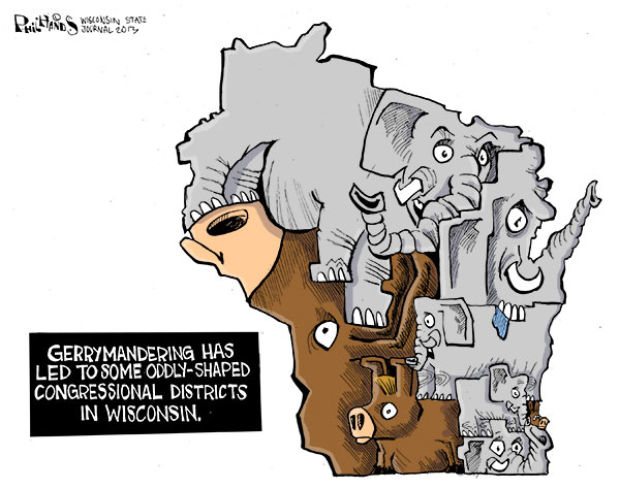 In 2011, Wisconsin endured the most secretive, partisan and expensive (over $2 million) redistricting process in state history – resulting in dramatically less competitive voting districts for the Wisconsin Legislature, and not a single U.S. Congressional district in which voters have a real choice. Should a measure that takes redistricting out of the hands of partisan legislators and puts that process into the hands of a non-partisan entity get – at the very least – a public hearing? Tens of millions of dollars were spent by outside interest groups on largely negative advertising leading up to last year's general election. But the citizens of Wisconsin are still in the dark about who was really behind much of this avalanche of “outside” campaign cash and the constant barrage of special interest group “phony issue ads” during the election. Does this lack of disclosure protect "free speech" or is it a perversion of democracy? Do citizens have the right to know who is trying to influence their vote? Or, are these “anonymous” communications a form of protected speech? And what about Wisconsin’s photo voter ID law – one of the most extreme and restrictive such measures in the nation? It has been blocked by the courts, but may return in a new form soon. Is requiring a photo ID at the polls needed? Is there really voter fraud or is this a voter suppression measure? Prior to 2011, public financing of statewide and legislative elections helped ensure that our legislators and our state’s highest court were somewhat beholden to the public rather than completely funded by private interests with deep pockets. 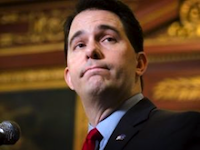 Yet in 2011, Governor Scott Walker gutted the state’s public financing system, while at the same time, increased the limit on individual campaign contributions to Supreme Court candidates from $1,000 to $10,000. 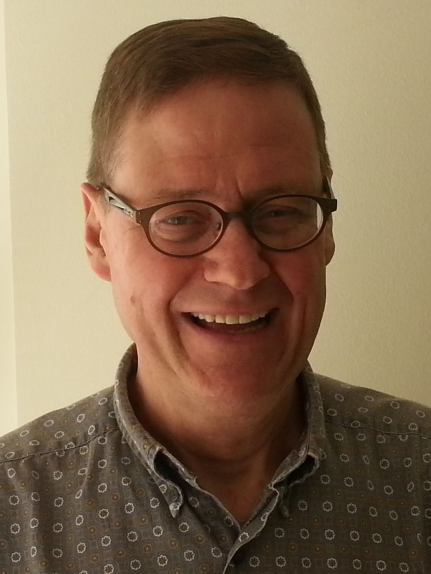 Political Science Professor Dennis Riley of UW-Stevens Point will serve as Moderator. Please join us for what we anticipate will be an informative and lively discussion. "Have the Public Hearing. What are You Afraid of? Have the Hearing,"
In a recent, wide-ranging interview with Appleton Post Crescent editorial page editor Larry Gallup, State Senator Michael Ellis (R-Neenah), the Senate President and longest serving GOP legislator in the Wisconsin Legislature, had a lot to say about a public hearing on Senate Bill 163, bipartisan redistricting reform legislation that was introduced almost six months ago. Despite repeated calls from Common Cause in Wisconsin, the editorial boards of almost every Wisconsin daily newspaper and the League of Women Voters of Wisconsin, State Senator Mary Lazich (R-New Berlin) has thus far failed to schedule a public hearing on the measure. Both Lazich and State Senate Majority Leader Scott Fitzgerald (R-Juneau) have refused to say why. Gallup: Most of the editorial boards in the state — and we’re one of them — have grouped together to advocate for a public hearing on a bill to change redistricting. Is there any chance that hearing will happen? Ellis: I think they should have a hearing on it. There’s no reason why we can’t investigate that. I know the Democrats didn’t do it when they were in power and the Republicans won’t want to do it because they’re in power. But why don’t we just shake yesterday off and think of tomorrow? There’s no reason we can’t have a public hearing and explore the options that are available. It certainly is working in Iowa. So I don’t have any problem if anybody asked me. Have the public hearing. What are you afraid of? Have the hearing. Ellis is a powerful and effective voice in his Caucus and in the Wisconsin Legislature. Let's hope his endorsement for public hearings will encourage more Republican legislators to speak out in favor of them as well -- and soon. The Milwaukee Journal Sentinel, just moments ago, weighed in on this important development. We will have more on redistricting reform next week.